A screenshot from musician Erika Ryann's 2017 submission to NPR's Tiny Desk Contest. Erika Ryann in front of the 91.5 KRCC studios. Erika Ryann is a local musician who lives in the rural community of Larskpur, Colorado, just minutes away from the bustling, metropolitan city of Denver. 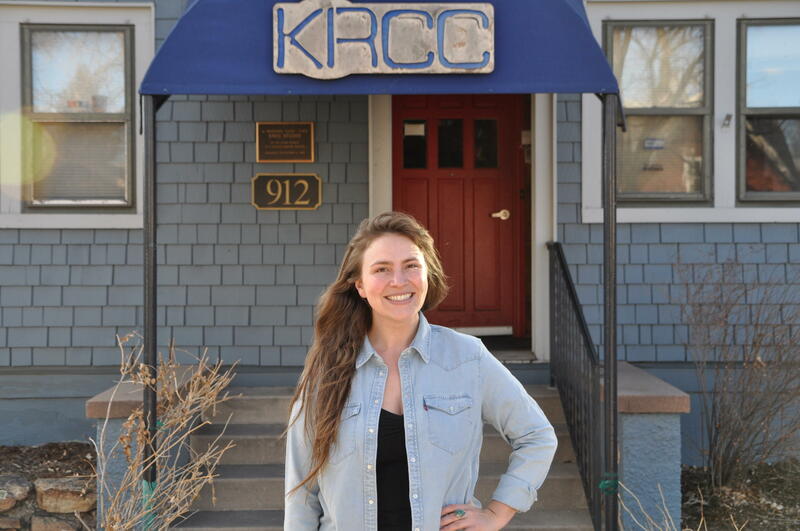 She recently visited 91.5 KRCC to talk with Vicky about her livelihood as both a rancher and musician in both communities, and to play a couple of songs in the 91.5 KRCC studios. To date, Erika has three full length albums, and she has created a bit of a buzz with her NPR Tiny Desk Contest submission, which you can see here.